We have a Backyard Vacation Bible School once a year for the kids in our neighborhood who regularly play in our yard. We look forward to this all summer. It is how we end summer. We never know how many kids will show up as we also distribute written invitations a few blocks in each direction. VBS is in four days, so we need to get the last few crafts finished up. 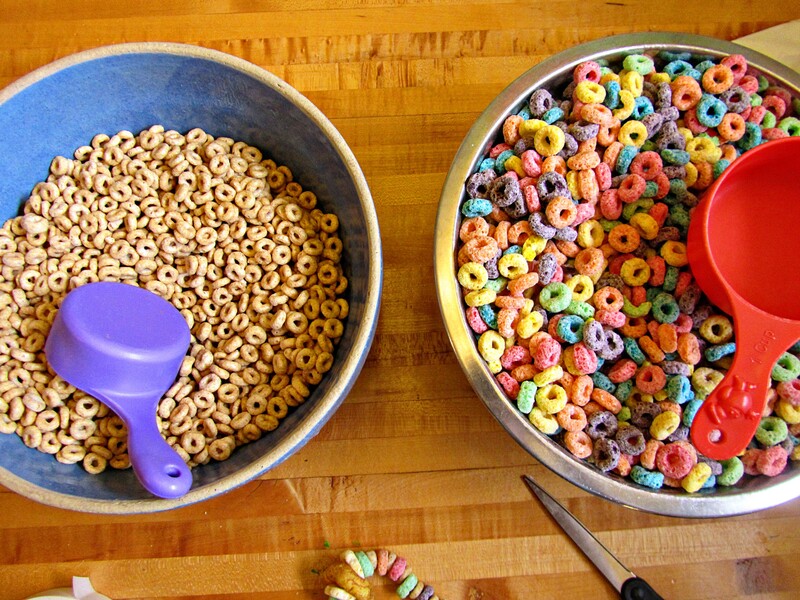 The funny thing is that the older kids all wanted cereal necklaces. I think they were just hungry. 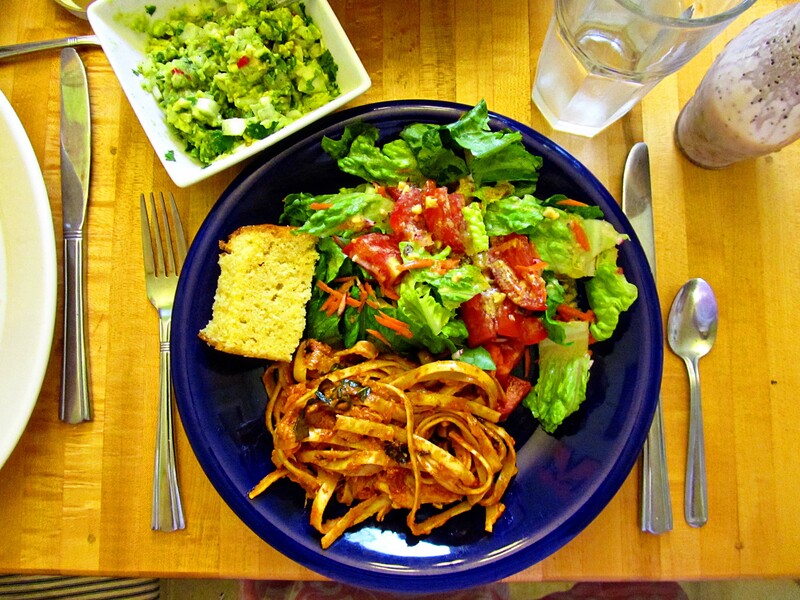 Lunch today is delicious–pasta, cream, fresh tomatoes, and down home cornbread–so let’s double everything. I want left overs tomorrow. I made up some cornbread while the girls made up Edible Necklace Craft Packages. 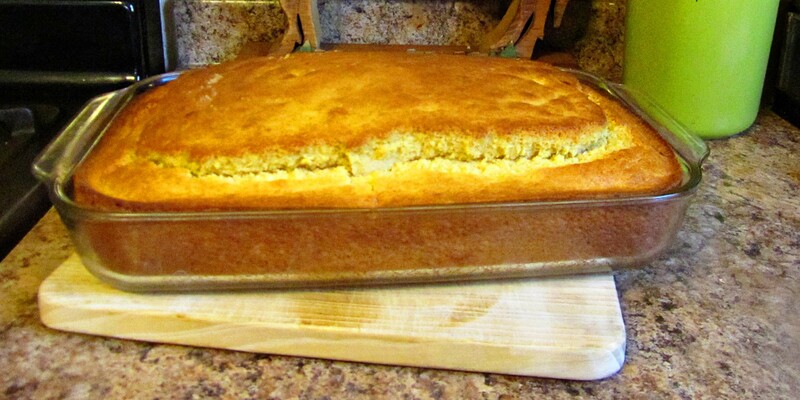 This is a triple batch of cornbread because that is how much this family likes cornbread. Most of it will be gone by the end of the day–eaten with butter and honey. But what is left, will be eaten for breakfast as Johnny Cake. That is what my family called it. 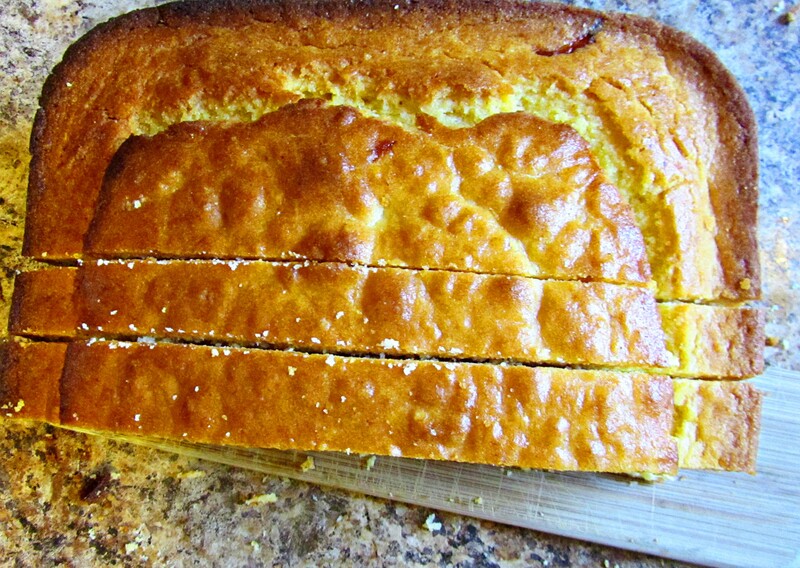 Johnny Cake refers to about 4 different dishes, but all of them involve cornbread. 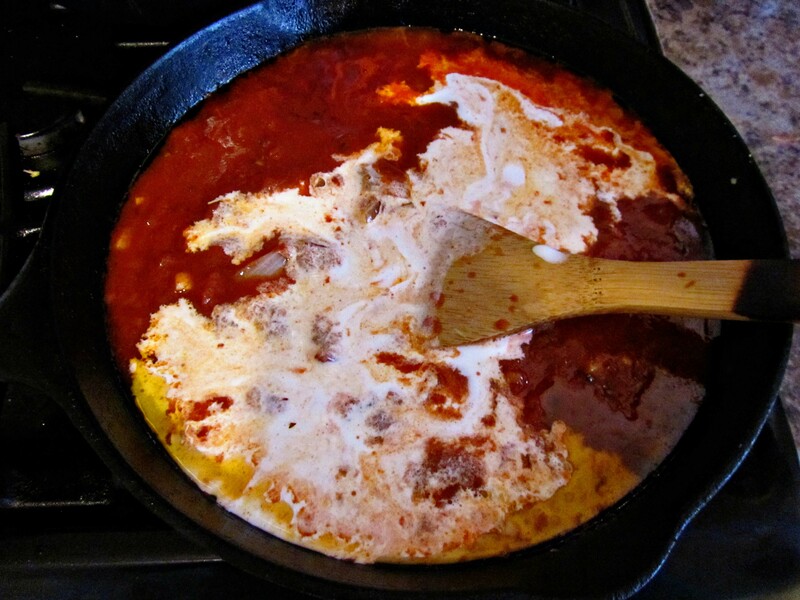 Growing up, my mom would take left over cornbread, crumble it into hot milk, and heat it in a sauce pan on the stove. It was my favorite hot breakfast cereal. If we have any cornbread left over, I do the same. 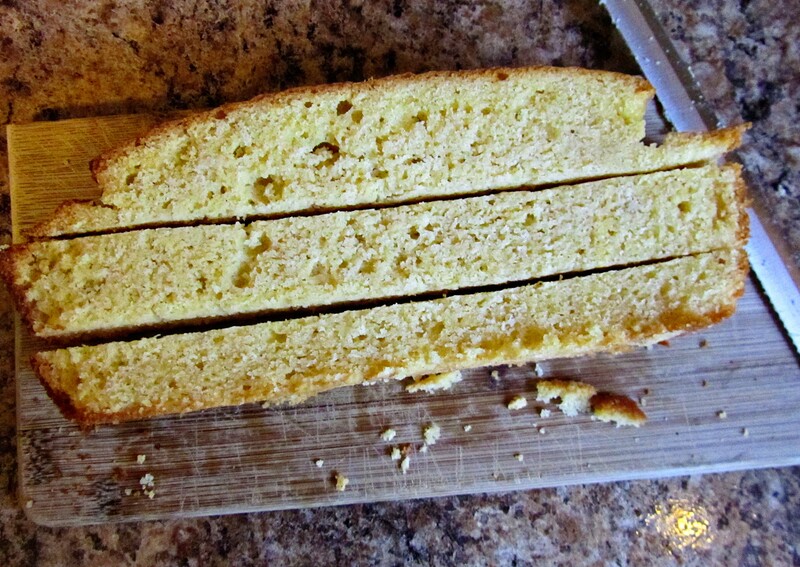 Slice the cornbread, then. . .
. . .cut into strips, then. . .
. . .cube into nice large croutons. 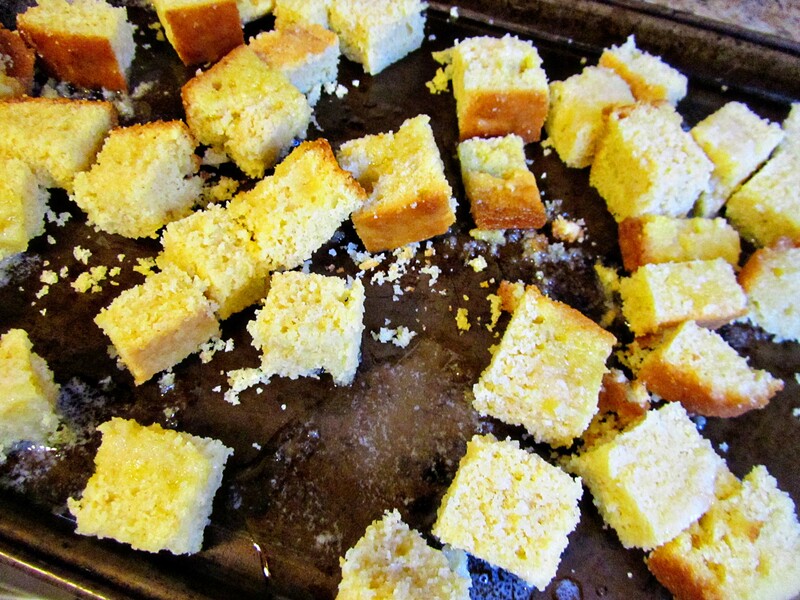 CORNBREAD CROUTONS (pg. 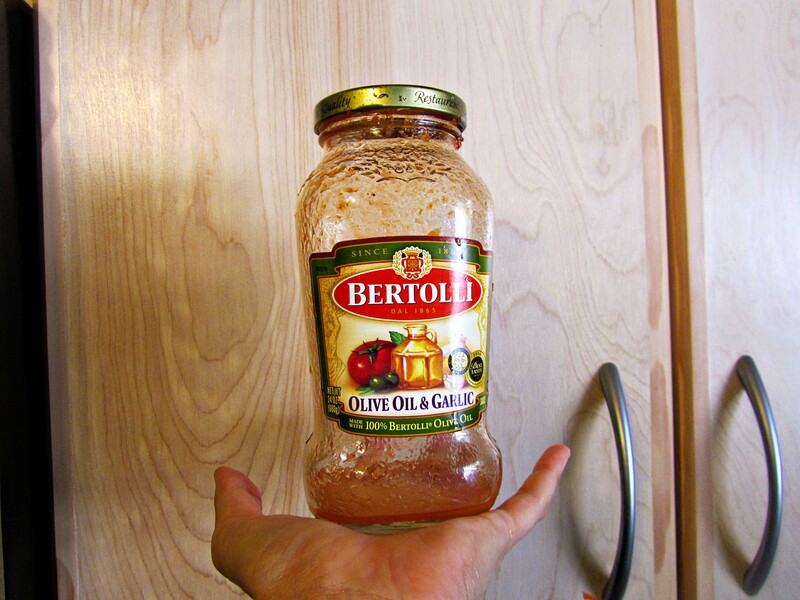 42) Sorry, I couldn’t find a recipe link, but I think you can get the idea without a print out. 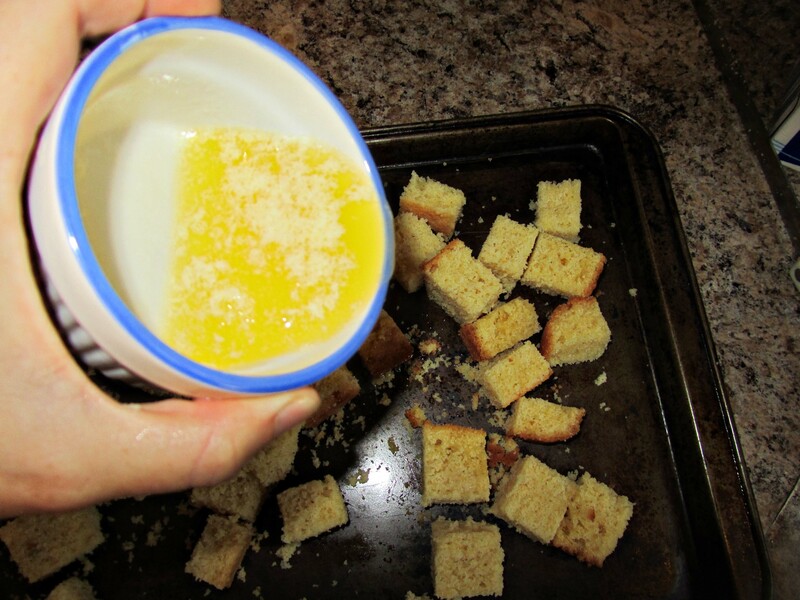 Drizzle the croutons with melted butter, and then. . .
Toast in the oven (325° F) for about 20 minutes. Every once in a while give the croutons a light toss, so they brown evenly. 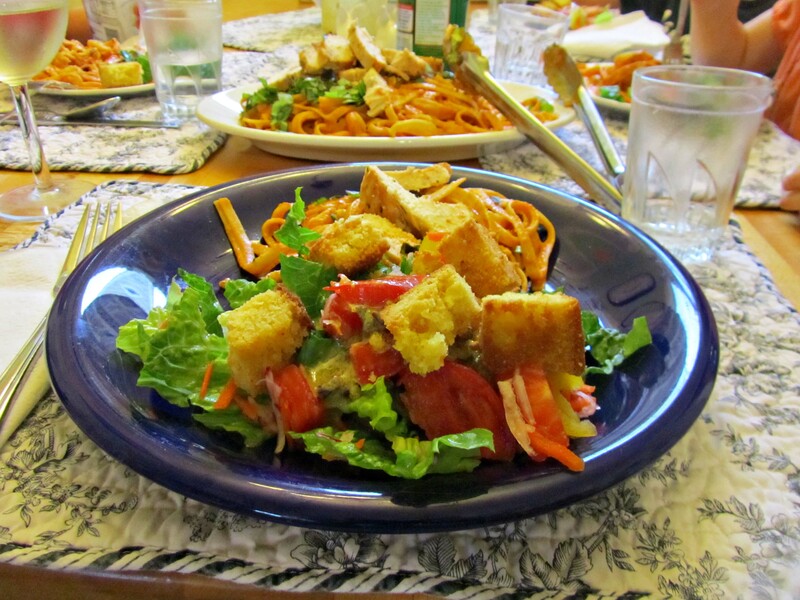 These croutons ended up tasting more like a dessert. I couldn’t stop popping them as I cooked the rest of the dinner. 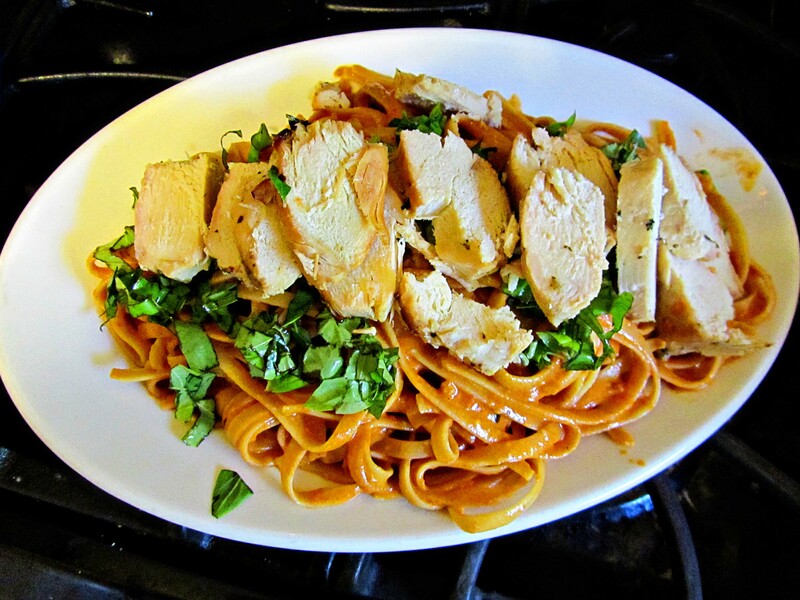 The PASTA WITH TOMATO CREAM SAUCE (pg. 139) starts with. 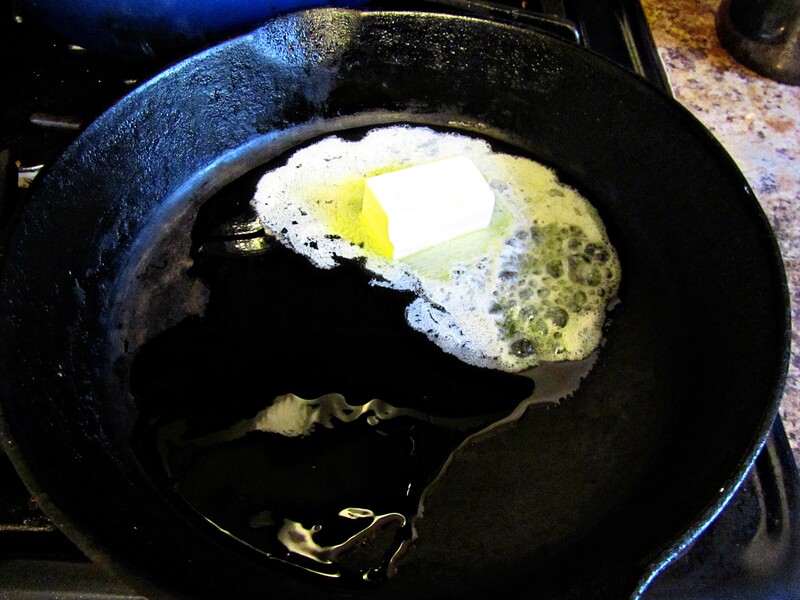 . . you guessed it. . .butter. I just have one problem with this recipe. The list of ingredients is not on the same page as the steps, so I have to write them in myself. Now it took me a long time to learn this. I went to public school, where books were NEVER TO BE WRITTEN IN! And since I am a good girl, I never did. Remember that first day of school when you were issued your text books, and you had to write the condition of the textbook on the inside cover? I was always worried that I might turn a GOOD condition textbook into a USED condition textbook. I also am scared to remove those tags on pillows and couches that say NOT TO BE REMOVED EXCEPT BY THE CONSUMER. I wasn’t sure who the consumer is–unless it is the dog or kids that chew on the pillows–so I always leave the tags on. I don’t want anybody coming after me for disobeying the law. 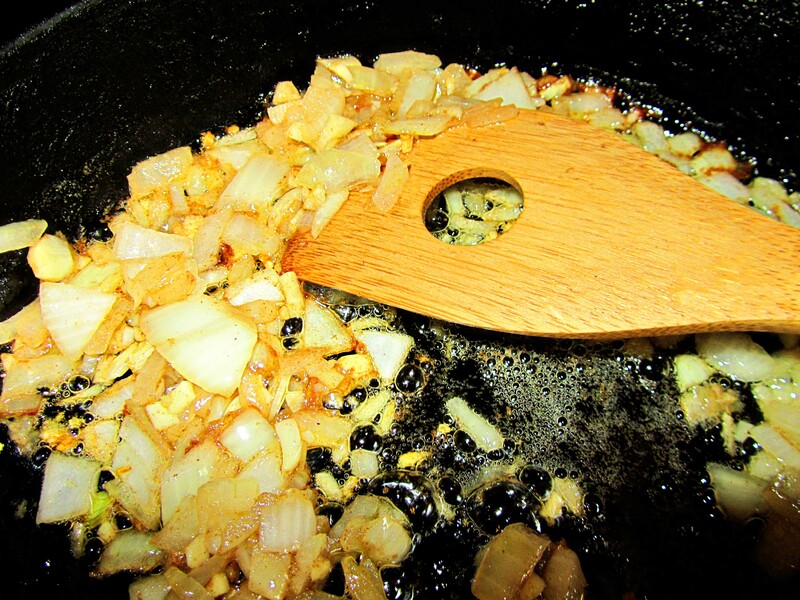 Saute up some onions and garlic in olive oil and butter until translucent. 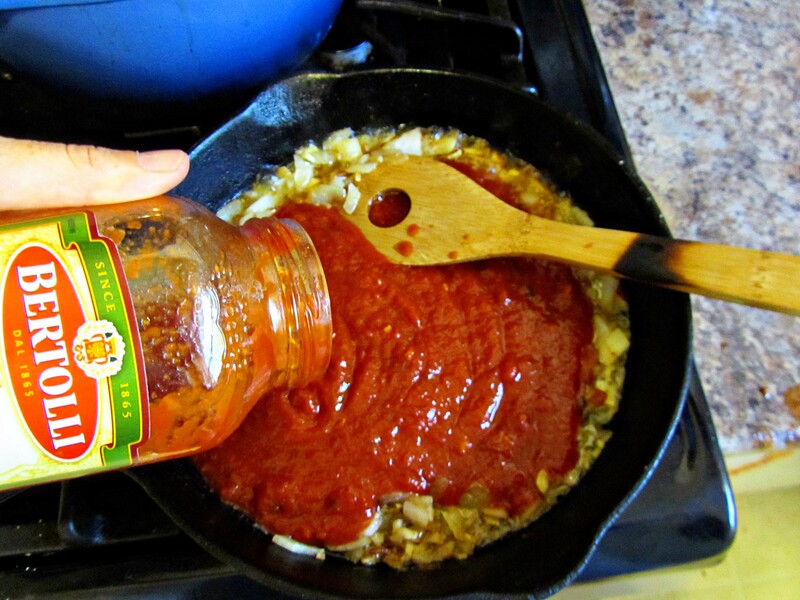 Add a bottle of your favorite tomato sauce. Then stir in the cream–heavy whipping cream. Undiluted richness. Once I went to a lecture about the perfume industry, and the shape of each bottle is researched. The perfume must match the bottle. Bottle design is a HUGE industry! We are working on having our Ypsi Doll’s packaging redesigned, and it has opened our eyes to the 101 million ways a product can be marketed. So what does this bottle say about me? Hhhhhmmmmmm. Wide shoulders. No waist. And hips. 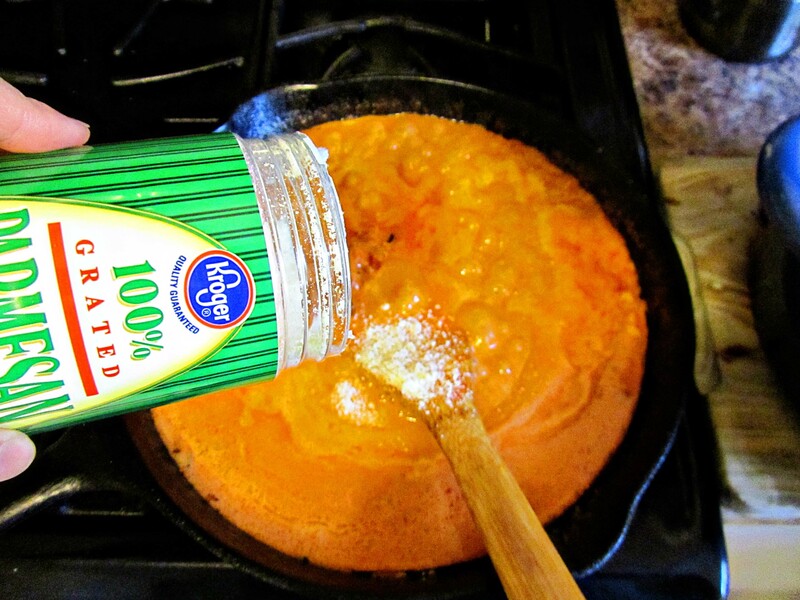 You may have thought that the Tomato Cream Sauce couldn’t get any richer (more rich? ), but it does. Add 1/2 of grated Parmesan cheese. 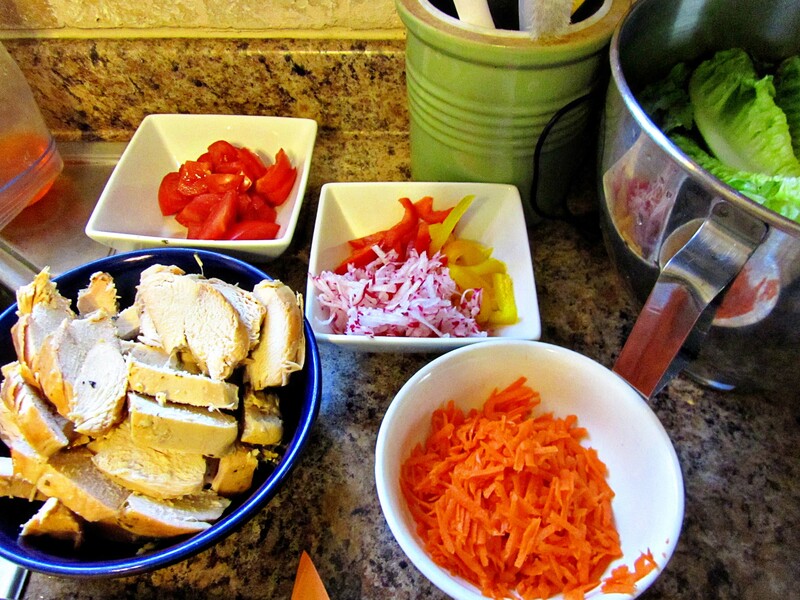 Somewhere along the line you should start some pasta. 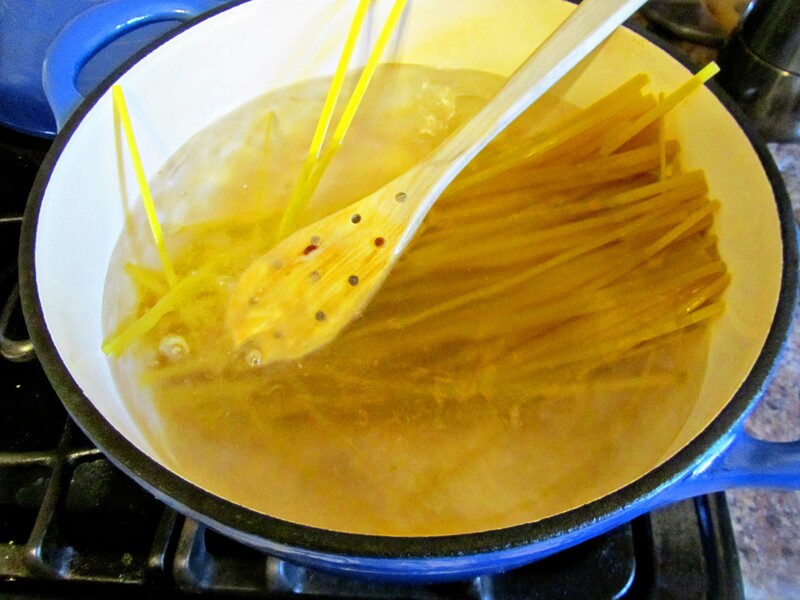 I tend to avoid spaghetti noodles just because they remind me of school lunches–especially the extra thick spaghetti noodles. Throw in the whole package because we want left overs. 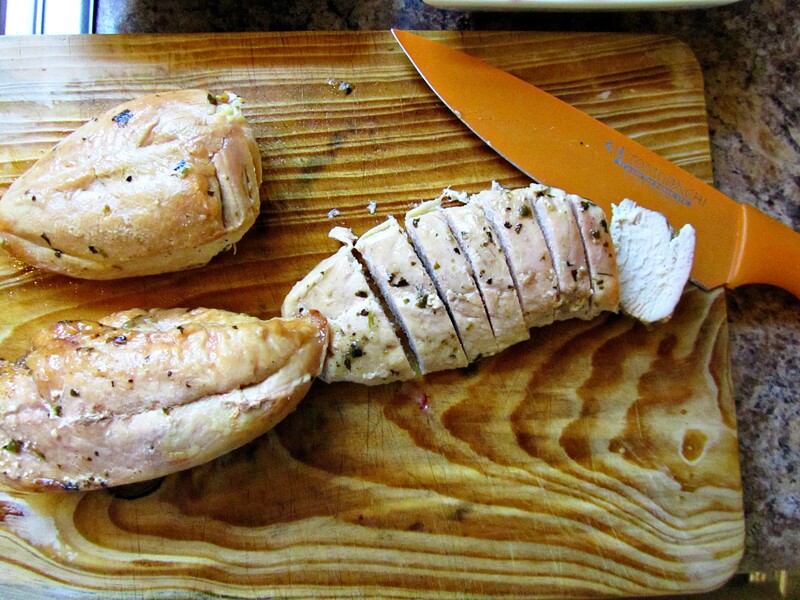 And somewhere along the line I cooked up some skinless boneless chicken. Grill up some extra-y because we want left overs. 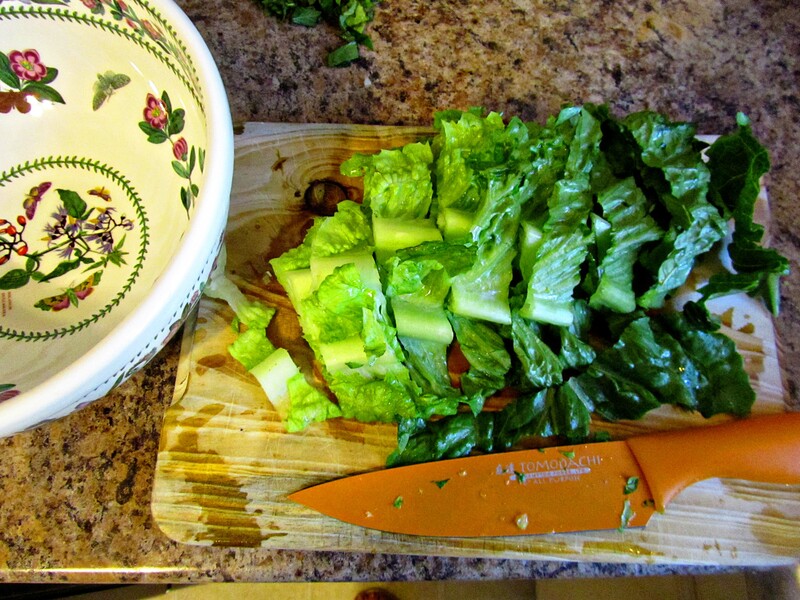 And somewhere along the line I started a salad. 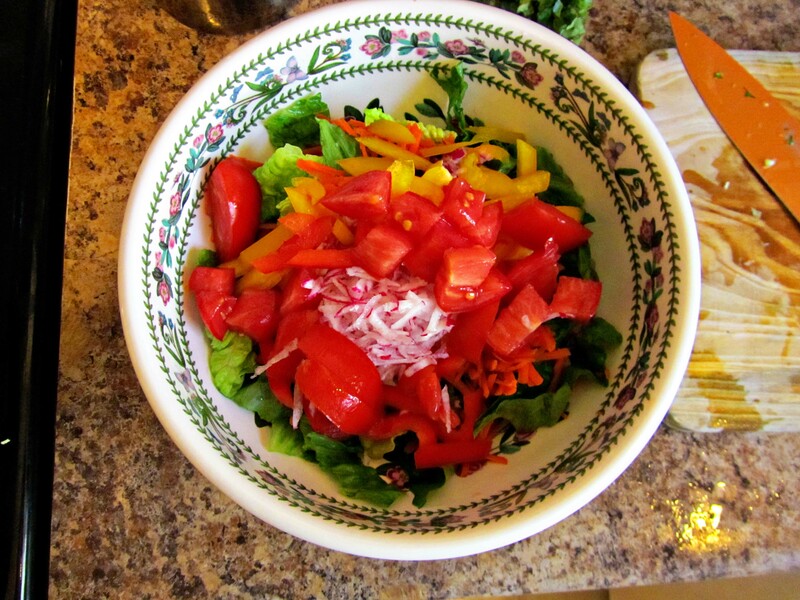 . . .with lots of fresh veggies. And this picture just makes me miss summer. All the lettuce I buy in winter looks a bit anemic, but look at the colors here! 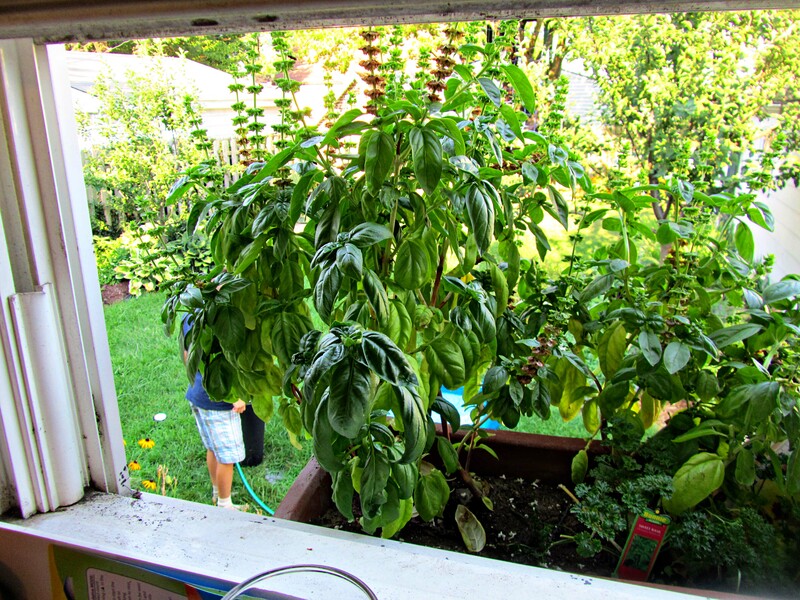 Last summer, I had herbs growing right out my kitchen window on a potting bench. Unfortunately, my potting bench had to be burned at the end of the season due to termites. This summer I will have to actually go outside to pick my garden herbs. 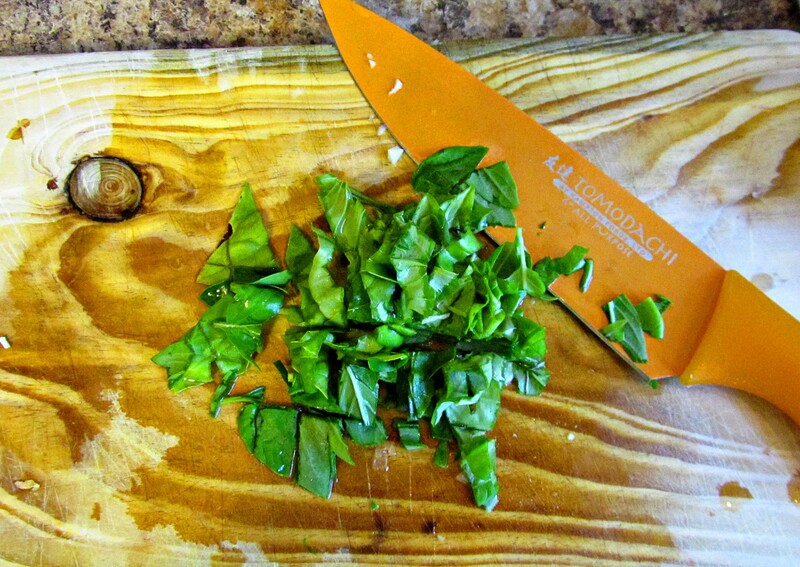 Chop up some basil, and . 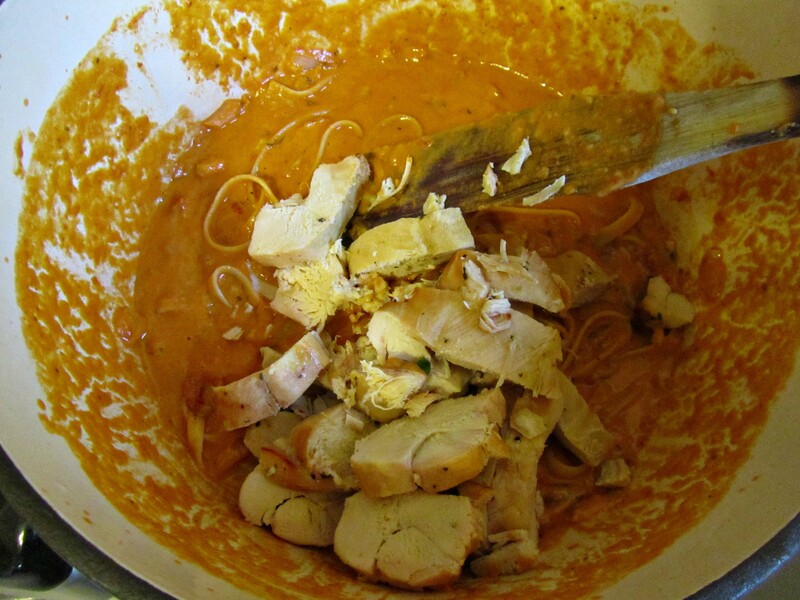 . .
. . .assemble your PASTA WITH TOMATO CREAM SAUCE (AND GRILLED CHICKEN). Ring the dinner bell, or yell out the window, or yell at your daughter to call everyone for dinner and then yell at her for yelling out the window, or maybe just text The Hunni in the garage. Plate up, pray, and devour. 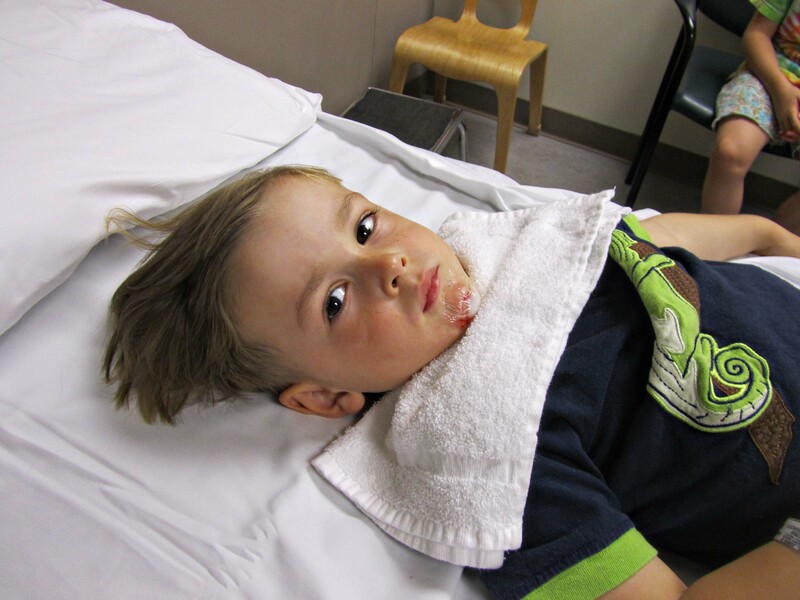 We watched Little Man get real stitches in his chin instead of adults pretending to shoot each other. I never thought I would rather watch adults pretend to shoot each other. Instead of attending the air show, we headed home. 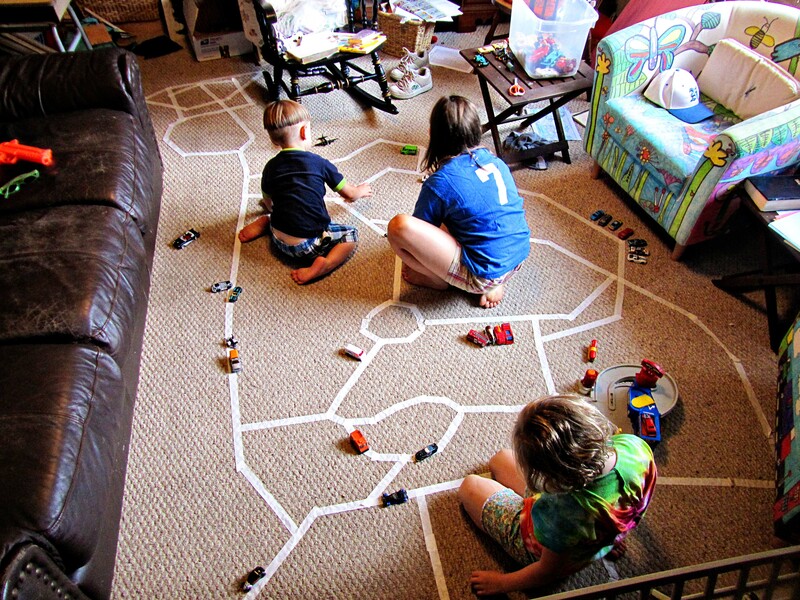 The kiddos made masking tape roads all through our ground floor for Little Man to drive his cars on. And I was very thankful he was okay. 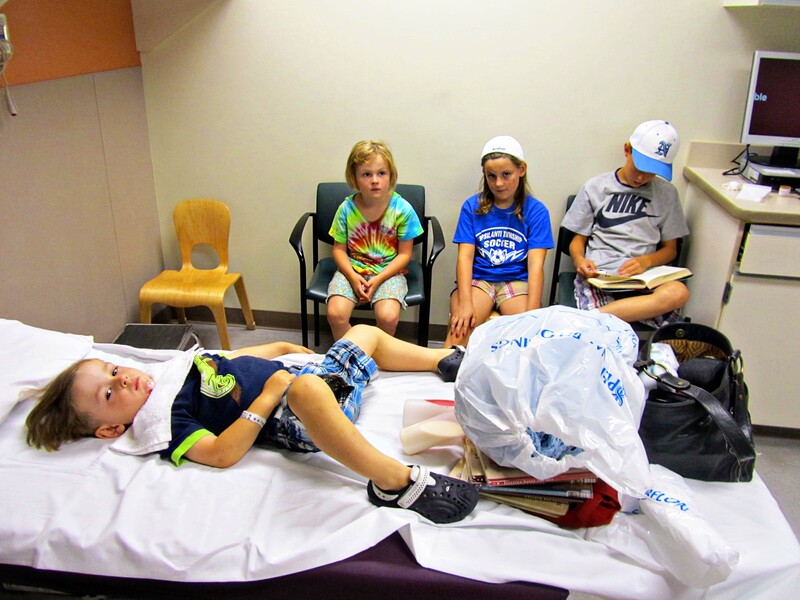 And I was very thankful all the kids are okay. And I was thankful for left overs in the frig because I just wasn’t going to be able to cook. I do have a picture of the chin. But I realize this is a food post. So only scroll down if you are okay with that combination. 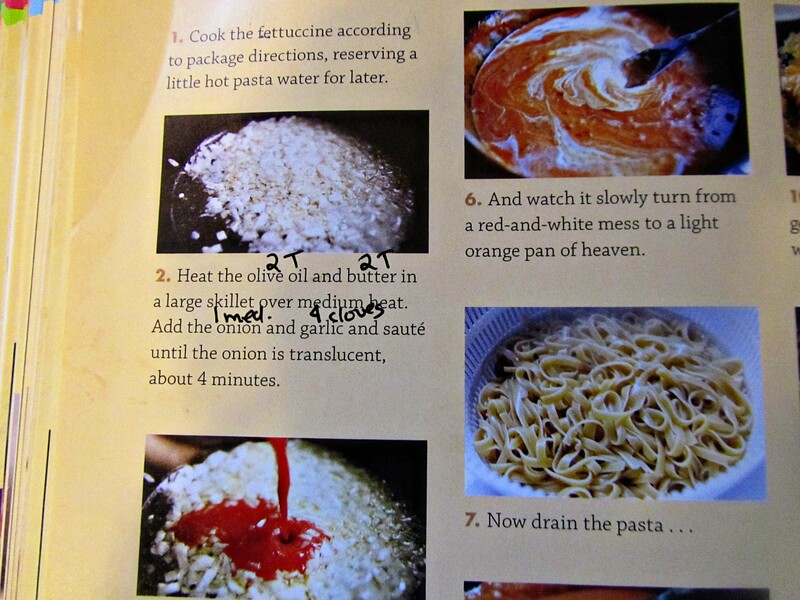 This entry was posted in Recipes and tagged cooking ree drummond's cookbook, ER visit. Bookmark the permalink. 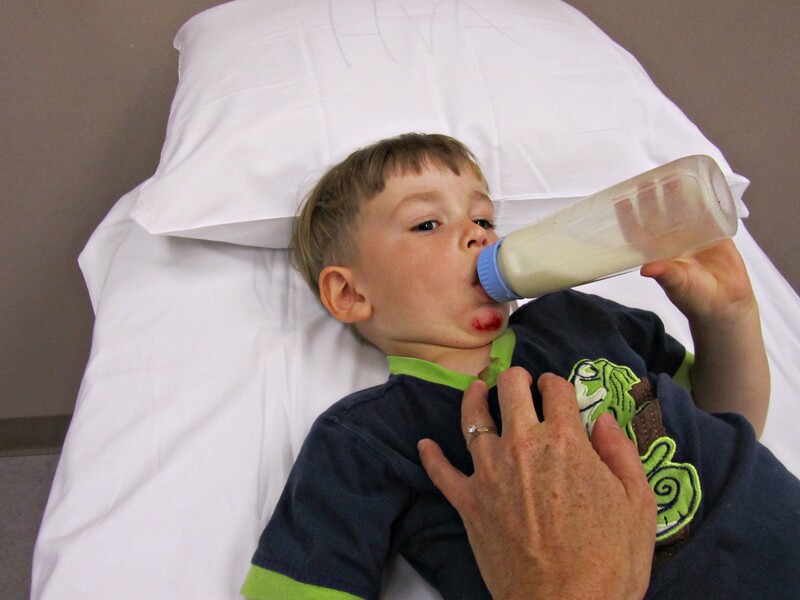 Glad it is all behind us, and just a little scar. Maybe I shouldn’t have been “okay with that combination” 😦 but the pasta sounds lovely!!! Pasta always sounds lovely to me–hence the lack of waist. Rugby! How does anyone survive it? Hope your boys have a great season! I always think a scar on a man is……like a trophy! 1st prize. something like that. I agree! 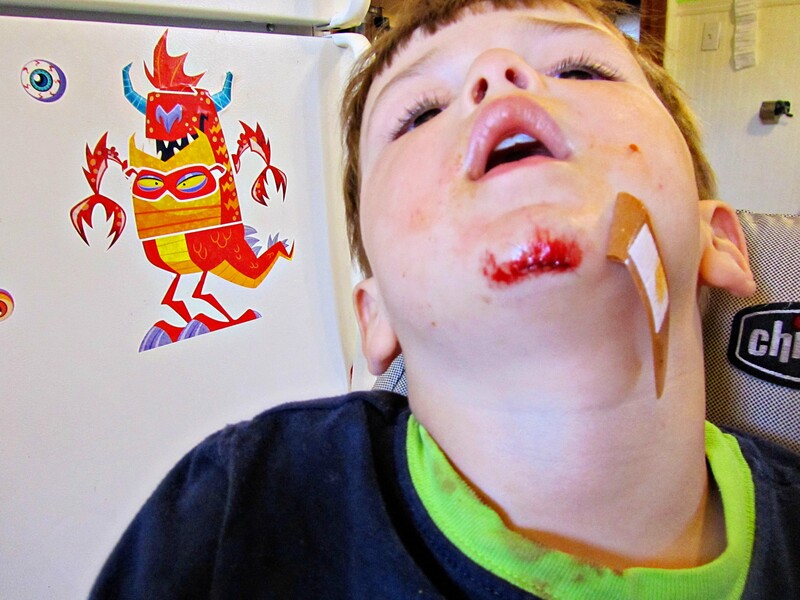 Real men have scars. 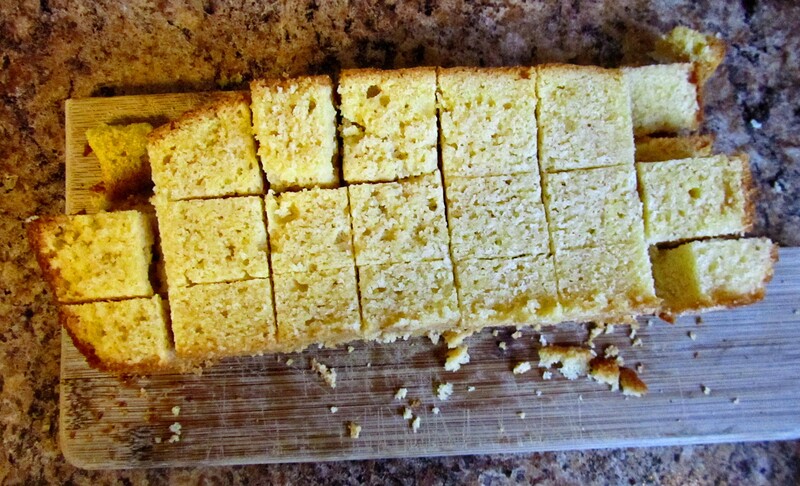 I love left over corn bread as Johnny Cake also! With lots of warm milk, honey, and some canned peaches cut up into it. Yum!